Dezeen promotion: designers are invited to come up with innovative solutions to revamp public spaces in the City of London, in the first of three competitions as part of the A Smarter City initiative. A Smarter City is a project led by The City Centre in partnership with the City of London Corporation and developer Brookfield Property Partners, seeking to improve London's use of innovative technologies and strategies. The first competition, Smart Green Spaces, requires entrants to devise a solution that enables the public and city workers to make better use of outdoor spaces, while retaining a sense of tranquillity and heritage. Submitted proposals must focus on improving either connectivity, biodiversity, wellbeing or sustainability within London's existing green spaces. Entrants are asked to submit an in-depth multidisciplinary solution addressing these highlighted challenges. Shortlisted entries will feature alongside an overview of global smart city projects in an exhibition at The City Centre, which will run from 28 April to 1 July 2017. Two more competitions will be launched later this year, and they will all form part of a further programme comprising an exhibition, panel discussions and "hackathons" that explore the use of new technologies within the city. "The city of London has remained an international trading centre for centuries and is arguably the most successful city in history," said CoL.
"To maintain its status as a world leader in adaptability and innovation, the City of London Corporation is developing a future city initiative to help drive its global competitive standing and economic growth." 1:500 scale interactive model of the city of London at The City Centre. At the end of the exhibition, one winner will be selected from each of the three competitions by a jury including Peter Murray, chairman of The City Centre and New London Architecture, and Amy Frearson, editor at Dezeen. The final winning entry will have the opportunity to work with CoL on realising the concept. Dezeen readers can claim a 20 per cent discount on the £25 ticket price to the exhibition by applying the "SMARTDEZEEN" offer code when booking tickets online. The deadline for registration and submissions is 5pm on 31 March 2017. Entry is free. All submissions must be sent in both digital and print formats. 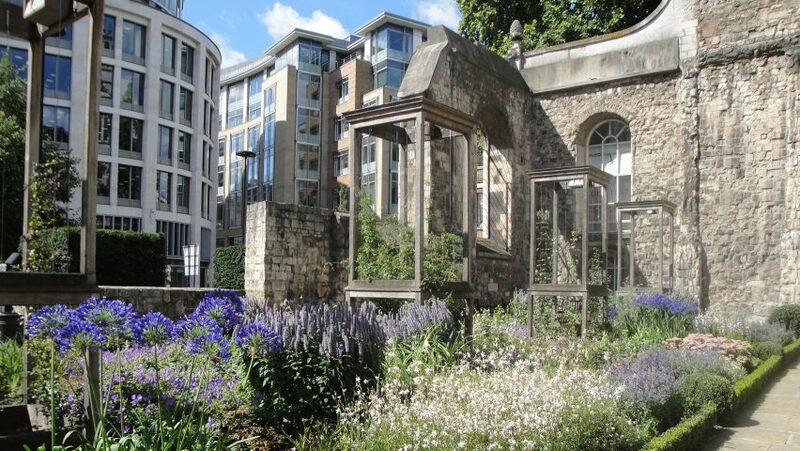 Digital entries can be sent via email to faith.clark@cityoflondon.gov.uk with the subject line of 'Smart Green Spaces Idea' followed by the proposal title. Print entries can be posted to Faith Clark at the following address – The City Centre, 80 Basinghall Street, London, EC2V 5AG. For a full set of entry guidelines, including required formats, visit the competition website.